​Vote for Your favorite Bass Kisser! SRWA has been hard at work restoring the streambanks along a stretch of Rocky Branch, but we need YOUR help to complete it! 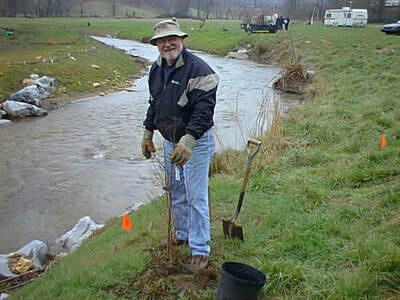 Please join us on Wednesday, April 24th to plant the banks along Rocky Branch. This is a perfect opportunity to learn about streambank restoration and management and to do something great and lasting for the health of the Soque River. We will meet at the corner of Rocky Branch Rd and Gabrels Dr at 4:30 P.M. on Wednesday, April 24th. 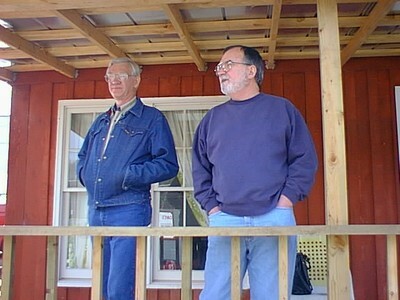 We expect to spend about 1 hour planting the site. Bring gloves and sturdy boots- we’ll provide planting materials and instruction on how to plant live stakes and transplants. Spring Salamander, Gyrinophilus porphyriticus. Photo by Todd Pierson. Would you like to see some beautiful, amazing salamanders? Join us April 27th for a bioblitz with local expert and Piedmont Professor Dr. Carlos Camp! What is a bioblitz? An event where volunteers try to find and identify as many species as possible over a short period of time. 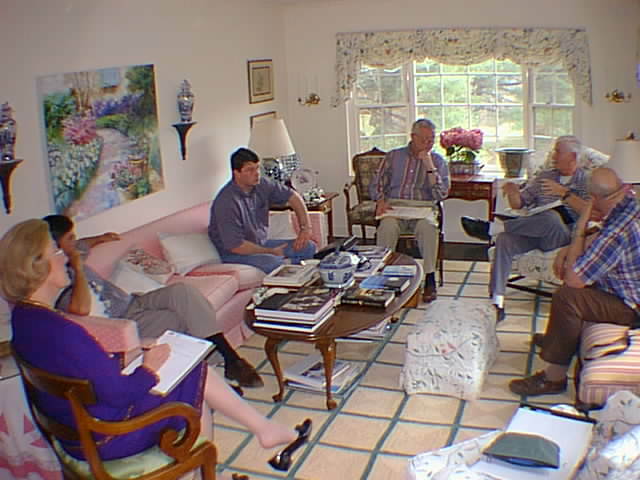 Experts and novices welcome! We'll see how many species we can find and Dr. Camp will help us to identify them. We will meet at 9:30 at the Clarkesville Mill (583 Grant St, Clarkesville GA) and carpool to Chastain Branch, a tributary to Raper Creek. Bring lunch and a snack and be prepared to tromp through the woods and streams. We will arrive back at the mill around 2:30. Join us for a day of good works and good company! 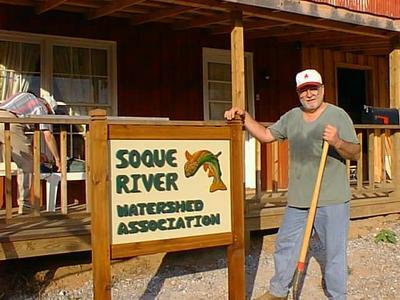 SRWA volunteers and community members will be picking up trash from around the Camp Creek Reservoir, a tributary to the Soque River and the drinking water source for the City of Cornelia. What to bring: work gloves, a water bottle, and dress appropriately for outdoor work. SRWA will have extra gloves if you need them. Refreshment, trash bags, and litter pickers will be provided. Please let us know if you are coming by email or on our Facebook event page. Since this is an outdoor event, we will post weather updates here and on Facebook. Thanks to Hannah Warner of CRK for presenting at our member meeting! We had a good turnout and a great buffet of food. If you missed this one, never fear, we will have more interesting speakers coming later this year. Thanks to everyone who joined us on a fun hike to the headwaters! Great views, a great stream, and great company were enjoyed by everyone. We're already thinking of our next hikes, so stay tuned! Thanks to everyone who purchased trees from us this season! We sold 73 trees which will now go off to do good work beautifying our community and preventing erosion. This was the 7th year of our annual tree sale and we look forward to seeing what these trees look like 7 years from now. ​Special thanks to Barry Gay for providing our trees, The Northeast Georgian for getting the word out, the City of Clarkesville for letting us use the Maudlin Gardens, and our board members for their work to make this possible. A HUGE thank you to the curator, Clara Madigan, and the entire Kollock family for such a lovely and successful event. A night filled with music, food, wine and best of all...art! Thank you to everyone that came and shared the evening with SRWA and we hope you had a great time. The Soque Celebration was a success! Thank you to all our sponsors, donors, and attendees. The music provided by Honeywood and Joe Higgins was wonderful, the fajita bar provided by El Jinete was delicious and the raffle items donated by so many of our local merchants were awesome! 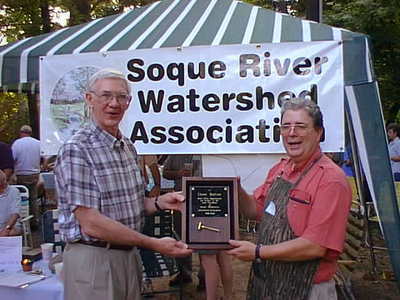 SRWA was founded in 1998 thanks to a group of dedicated local citizens who were concerned about water quality. 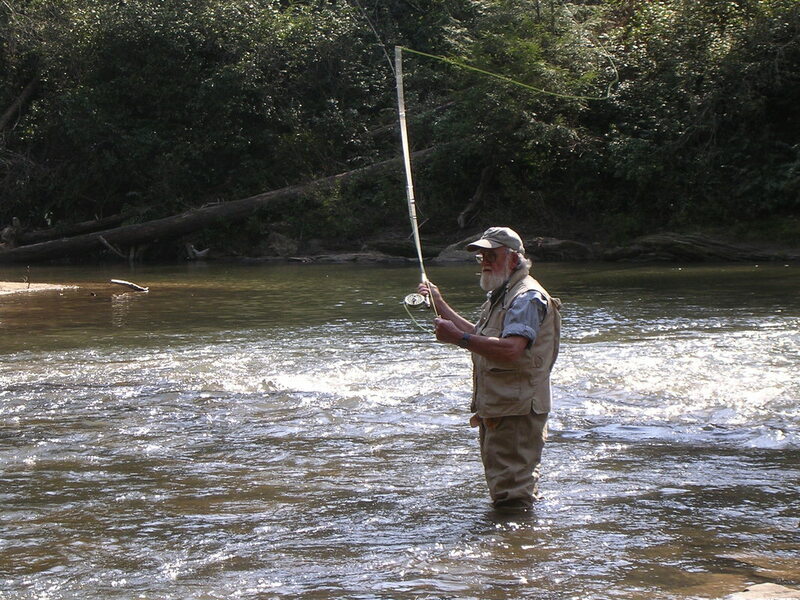 We have been fortunate to have had support from and collaboration with many organizations and individuals through the years, but special thanks go to Sally Bethea and Katherine Baer with Chattahoochee Riverkeeper for helping us get started and to the Turner Foundation for their generosity to help keep us going. In honor of our 20th Anniversary, we have several special events and activities planned and have designed the 20th Anniversary logo above (thank you Jason Fowler!) that you will soon see on new SRWA merchandise. On the subject of merchandise... please visit our watershed store by clicking ​here. During 2018, we will celebrate our history and look forward to our future as we continue our work to protect and restore the Soque River, its tributaries, and watershed. Please see the historic photographs below (thanks to Dr. Dudley Sisk for the images). Click on the photo to see the caption, and please stay tuned to our website and upcoming Soque Bulletins for more information on how you can engage with and support SRWA to ensure a clean water legacy for 20 more years and beyond! Sign Up to Receive the SOQUE BULLETIN!